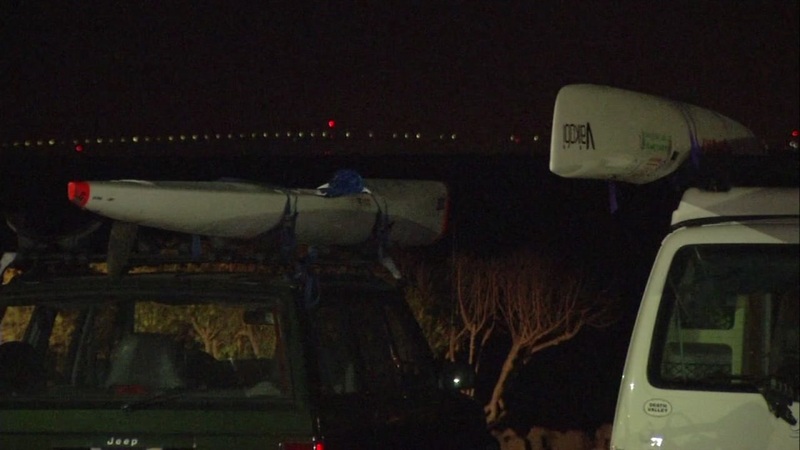 SAN FRANCISCO (KGO) -- The Coast Guard says the body of the missing kayaker in the San Francisco Bay was found around 3 a.m. on Sunday, just south of the San Mateo Bridge. Officials have not released the name of the deceased man until they notify his family. He was reported missing just before 6 p.m. on Saturday. Crews say the unidentified man was in the water just off Oyster Point in South San Francisco. Rescuers searched from Candlestick Point all the way down to the San Mateo Bridge in Foster City.